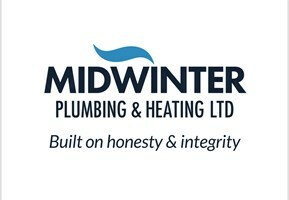 Midwinter Plumbing & Heating Ltd - Central Heating Engineer, Plumber based in Cheltenham, Gloucestershire. Based in Cheltenham, also covering Gloucestershire and surrounding counties. Aiming to always provide a honest, realiable, professional service to all customers. Undertaking a wide range of domestic plumbing, heating and gas installations, repairs, services and upgrades. NVQ Level 2 and 3 in Plumbing and Heating, Gas Safe registered, G3 unvented cylinder registered and fully insured. FREE NO OBLIGATION quotations & estimates. We are always happy to help and provide support, emergency 24 hour call outs are welcome. You can find a list of most common services below. For additional services not listed below please contact us on 01242 500 907. Bishop Cleeve, Cheltenham, Cinderford, Cirencester, Evesham, Gloucester, Gloucestershire, Ledbury, Newent, Pershore, Ross-on-wye, Stroud, Tewkesbury, Winchcombe, Worcester.